The main treatment approach for women suffering from polycystic ovary syndrome (PCOS) is diet and lifestyle changes. Maintaining healthy blood sugar and insulin levels are essential to managing PCOS. If not well managed, PCOS can lead to type 2 diabetes and other chronic diseases. Many women with PCOS struggle with weight management and infertility. They may be frustrated and confused with conflicting nutrition advice provided on the internet and the lack of available resources. If this sounds like you, you may want to consider working with a registered dietitian (RD) or registered dietitian nutritionist (RDN). These trained nutrition experts can help you sift through nutrition misinformation and provide reliable nutrition advice. What Is an RD or RDN? RDs or RDNs are food and nutrition experts who have earned at least a Bachelor’s Degree in Dietetics, completed a full year of a dietetic internship as well as successfully passed a credentialing exam. These experts must also earn continuing education credits each year to stay credentialed. What Should I Expect In a Nutrition Session? 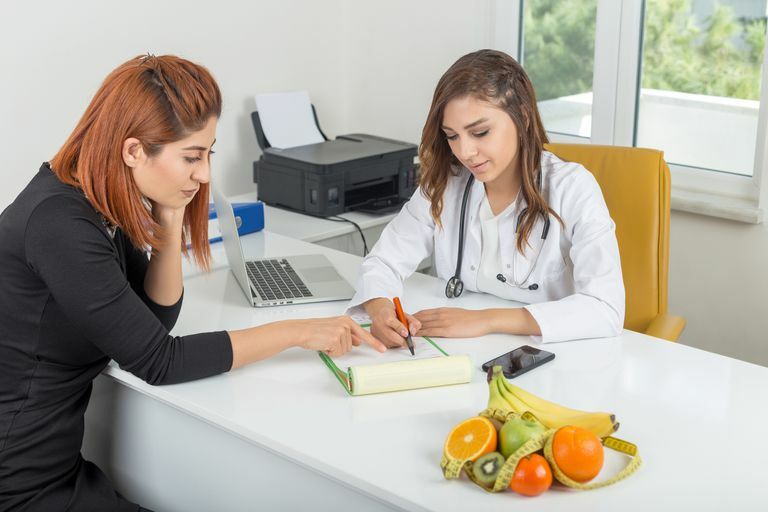 Visits with an RD or RDN typically lasts 45 to 90 minutes.The first session is usually a nutrition assessment where the dietitian learns about your current and past medical history and assesses your eating and exercise habits. He or she will provide nutrition education about PCOS, dietary supplements that may improve your condition, and develop a personalized meal plan based on your unique needs. The number of follow-up sessions will be determined based on your goals and medical needs. Follow up sessions may involve additional nutrition education, meal planning, monitoring of supplement use, and support with eating issues. How Do I Find an RDN Who Specializes In PCOS? Just like physicians specialize in one area of medicine, sometimes RDs and RDNs do as well. The RDNs at the PCOS Nutrition Center are all trained to work with women with PCOS and specialize in the condition (and have PCOS themselves). You can also find a dietitian in your area by visiting the Academy of Nutrition and Dietetics website, www.eatright.org. Once you find a list of providers near you, visit their website to see if they have experience with PCOS. You can also call and ask them about what you would like help with and how they would be able to help you. Feel free to call several RDNs to get a feel for someone you may want to work with. You might also want to ask your doctor for a recommendation as well. While it would be great if all insurance providers covered nutrition counseling for PCOS, not all do. Check with your insurance carrier to see what your plan covers. Additionally, most health spending accounts (HSAs) include nutrition counseling as part of its programs.